Something of an interesting update. 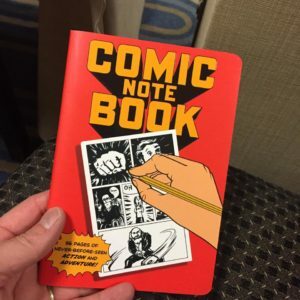 While at the Holiday Geek Expo I scored a “Comic Note Book”. It’s kind of hefty and I’m going to try to do daily updates in it.